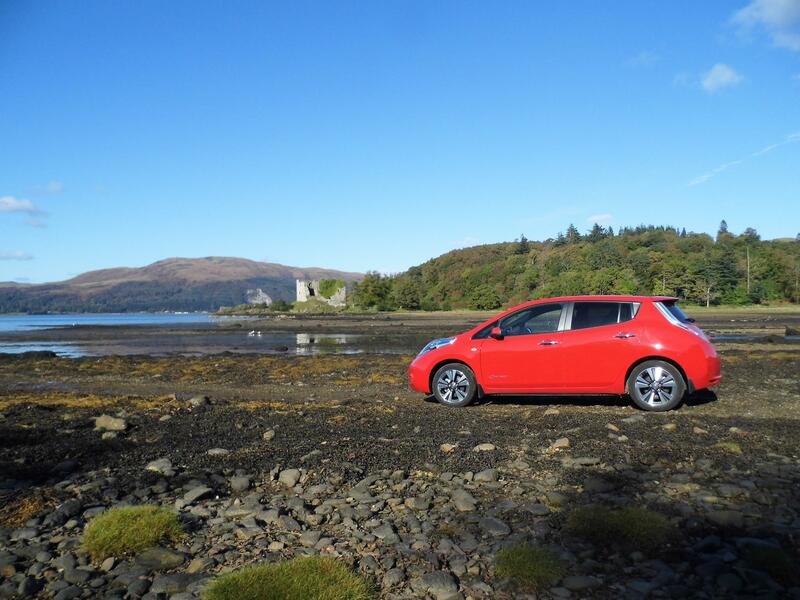 Two Nissan Leafs, over 4 years, and 50,000 miles of electric driving has given me the chance to explore the length and breadth of Britain, from Shetland to Sussex, Lands End to Lewis, and Cambridge to Criccieth. I've had a few days driving some 350 miles or more and never run out of power: so here are some thoughts on staying chilled and getting from A>B in one piece. Some of these tips are probably old hat to experienced EV drivers, but lots of new people are buying electric cars these days, so this is for them. 1. Never rapid charge above 90% when on the move unless you really need to, or simply have loads of time. The last 10% takes ages, and several rapid charges can heat some batteries to the point where they start to slow down charging very noticeably. 2. On long trips you can phone your chosen chargepoint provider ahead where possible to get the latest info on your route. Sometimes information can be out of date so check the apps and then make a phone call. 3. When using single or unknown rapids - try to charge as soon as convenient when below 33% battery capacity - and always keep a decent reserve for Plan B (which is the next available rapid in your direction). Far better to charge a couple of times more than you need than to scrape up to a single rapid with zero battery left only to meet a queue of Teslas all waiting their turn, or even worse, encountering a duff rapid that is out of order. 4. Figure out a comfortable speed that gives you about 20% remaining margin of error for your car - range and power usage can change due to detours, traffic, rain, and high winds. On motorways cruising at 55 is very economical but insanely boring, 60 mph seems about optimum cruising speed, but when you are approaching your destination or have a known and reliable pair of chargers ahead then obviously 65 or 70 mph is fine. 5. In rural and remote areas, aim to stop overnight at friend's houses, youth hostels or B&Bs - they are much more laid back than most hotels about charging your car. Use the EVSE (brick) overnight, and carry a ten-metre extension lead to drape through windows or whatever. 6. If you don't get a charge from any charger type, be persistent and methodical, it can often take a few tries. One common and puzzling error at Type 2 chargers is to leave the auto-charging timer on: always switch it off on any long trip. And don't be caught out by an unfamiliar network: carry at least three main cards and make sure you’ve downloaded all the chargepoint manufacturers' apps! 7. Don't panic when going up long hills like Beattock summit or Shap fell - you will lose a lot of power and range but gain much of it back downhill through regeneration. 8. Lastly, I was in Leeds this afternoon with my Chairman for meetings with the bank and with the Canal and River Trust (formerly British Waterways) a huge organisation responsible for managing 2,000 miles of navigations... Did I drive? Of course not, I took the train! The first question to ask when contemplating a long car journey is this: "Is there a quicker, more stress-free - and affordable - alternative - if so, take it." If you feel like writing for our blog feel free to get in contact with us via email: marketingteam@pod-point.com.